Synonymous with style, elegance and sophistication, the Savoy is unsurprisingly also the birthplace of some of the most famous cocktails in the world. During the 1920s and '30s, prohibition-dodging Americans visiting London for tea-dances and "mixed drinks" (cocktails), made the bar at the Savoy their home. Here they were entertained by legendary American barman Harry Craddock, inventor of the White Lady and populariser of the Dry Martini. 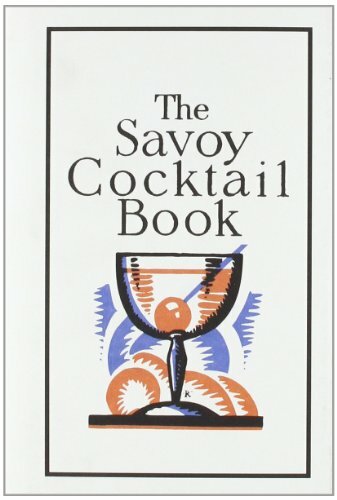 Originally published in 1930, the Savoy Cocktail Book features 750 of Harry's most popular recipes. It is a fascinating record of the cocktails that set London alight at the time - and which are just as popular today. Taking you from Slings to Smashes, Fizzes to Flips, and featuring art deco illustrations, this book is the perfect gift for any budding mixologist or fan of 1930s-style decadence and sophistication. Updated with a new introduction and recipes from The Savoy.